Duthie Associates, Inc. (dba Duthie Learning), was founded in 1989 by Bob Duthie, former VP Business Development for Nortel. The firm has evolved over the years from economic development presentations, to custom elearning and marketing programs, and today Content Marketing. This website is a example of Content Marketing educating people to explore the USA and Canada by RV and cruising long distances by boat. Since 1989 the firm has completed over 600 projects for clients, including small and large corporations and government. Contact Bob here. Bob Duthie, founder and business mentor, believes that marketing and training are one and the same. For example, advertising people have just 10-30 seconds to persuade prospects to learn more about their services or products. While pedagogical academics think there are defined differences between education, learning and training, education is all about the basics: the three Rs. Bob likes John Schneble's definitions of training vs learning: Training such as elearning is pushed to users and delivered in the same way to all. Learning on the other hand is informal and user-generated like social media. Thus, it makes sense to have a firm that understands marketing, training, and social media, and of course, business and technology. In starting a new business, an entrepreneur needs to first write a brochure that describes the market, products and services, and benefits. The next most important tool is a presentation. The presentation provides visual support to the entrepreneur when communicating the business to potential investors, customers, suppliers, and employees. The presentation then drives the content for the website. Today, a business is not real without a website. Onboarding training for new employees is essential. eLearning is ideal for this application because of consistency, interactivity, and low cost vs classroom training. Customer training can help companies grow rapidly without having to build large costly call centers for customer support. Social media has a role to play in B2B and B2C marketing. Email, blogging, white papers, LinkedIn groups, Facebook, Twitter, virtual trade shows, webinars, and YouTube video all contribute to gaining thought leadership, building trust, and developing relationships with potential customers and referral sources. Jeff Heysiett, the CMO, Eastman Kodak Co., says, "A marketer's dream is to engage in two-way conversations with people who are truly interested in their brand. Social media makes this happen. In today's world, buyers with a need turn first to friends and associates for referrals. Next, buyers conduct research on the Internet. If they like what they see and trust what they see, only then are they ready to dig deeper and perhaps call. This change in buyer behavior drives what the industry now calls Content Marketing. Duthie Learning utilizes this website as a test bed for content marketing and has evolved it since 2006. It contains over 700 blog posts (stories) and an ecommerce component for visitors that want more learning than the stories provide. Content marketing is not a project that has a beginning and end. Rather content marketing is a career. Content must be continuously created and kept up to date. A good example of the firm's content marketing services for one client may be viewed here. Work on this website was started in July 2012 and has continued since that time. The many video interviews of the company's employees demonstrate authority, and build trust. The data in the two topics below date back around 30 years to 1989 when the company was founded. As of 2018 some of the material is out-of-date and should not be relied on. 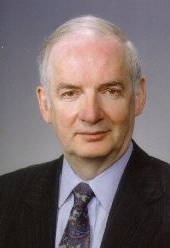 Prior to founding Duthie Learning, Bob was engaged in developing new markets for telecommunications products through the delivery of interactive training content over the telephone network to learners at personal computers. Today, this concept is called e-learning via the Internet, personal computers, and mobile devices.